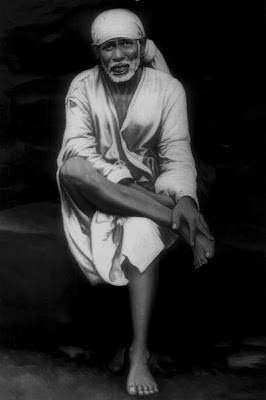 Sai In My Breath: Shirdi Sai Baba: Paradox On the Rocks. Shirdi Sai Baba: Paradox On the Rocks. How can he die? In the morning, he will come to life. 2) H.S.Dixit to Baba: Nana Saheb Karambelkar writes that his wife and brother are unwell and wants your help for their recovery. Baba: The brother will recover. H.S.Dixit: No, but shall we send for her ? The brother recovered and the lady died. 'Is she come?' means, in "sukshma sarira (Soul). After Death." 3) H.S.Dixit wished to help a devotee at shirdi who was in pecuniary diffculties, but who would not accept any presents. So he enclosed the money in an envelope and went to Baba. H.S.Dixit: Baba. Shall I send this letter? H.S.Dixit send it at once; and it was accepted. The devotee gave the explanation that 2 hours earlier the wife of that devotee went to Baba. Baba: Mother, I am coming to your house. Tell your husband, not to reject me. 4) Uddhavesa Bua was writing a letter to Baba every ‪‎Ekadasi‬ day i.e., once in 15 days. He visited Baba some months before Baba passed away. This was really bidding farewell. Uddhavesa did not however understand it, but somehow owing to forgetfulness, he did not send his Ekadasi letter thereafter. Obviously Baba's reference to the 15 days, visit was a reference to these letters. 5) When Shama was stung by a snake and went to Baba at the mosque. Baba: Do not get up Brahmin. Get back. Descend ! Shama was afraid that this was an order to him not to climb. Shirdi Sai Baba: Har Pal Herbal. Shirdi: What A Want Of Water.